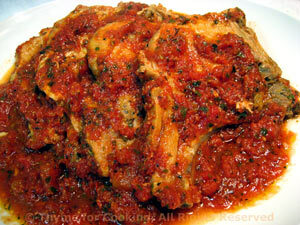 Italian Pork Chops, easy mid-week dinner. I used bone-in chops for this... No particular reason, but that is why the 'weight' called for is higher. The spinach is 'creamed' but without cream. Yes, creamed spinach.... but updated, with more flavor than the traditional version. Heat milk in a large skillet just until it simmers. Add cornstarch mixture and stir until it thickens. 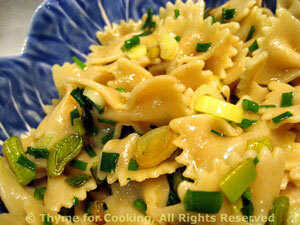 Add yogurt, dry mustard, cheese, and stir until cheese just melts. 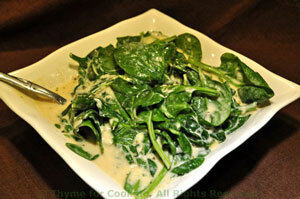 Add spinach, stir briefly to coat, cover, remove from heat and let sit until spinach is slightly wilted.